Petrified wood forms in the earth when trees or tree-like plants are buried under sediment or volcanic ash. If this happens in an oxygen-free environment where mineral-laden water is present, then, over time, the tree may become a three-dimensional stone representation of its original structure. Petrified wood is one of my favourite gemstones because it is one of the only instances in nature where stone takes on the softer feel of organic material. It is truly wood frozen in time. 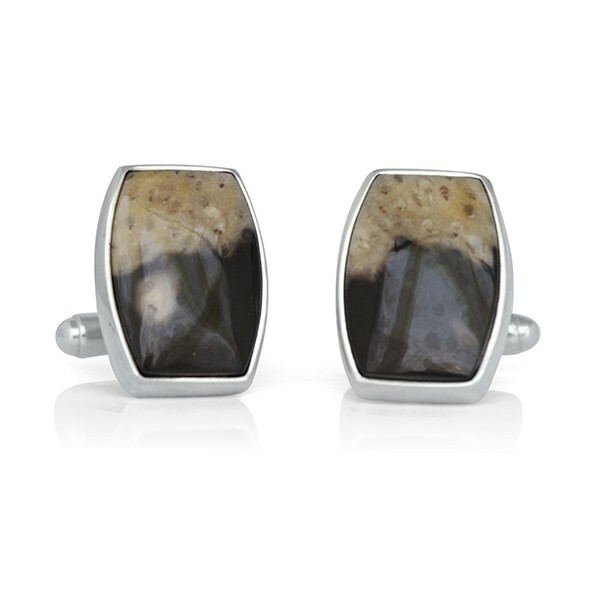 Each piece of petrified wood is one of a kind - the bezels for these stones were hand-fabricated in my studio to make these cufflinks.